Wielding a massive battle-axe, the Nordic raider rips through enemy lines. A hand catches the impact of a mighty blow, but the Odomar Viking Leather Half Gauntlets takes the brunt, allowing the warrior to concentrate on victory. 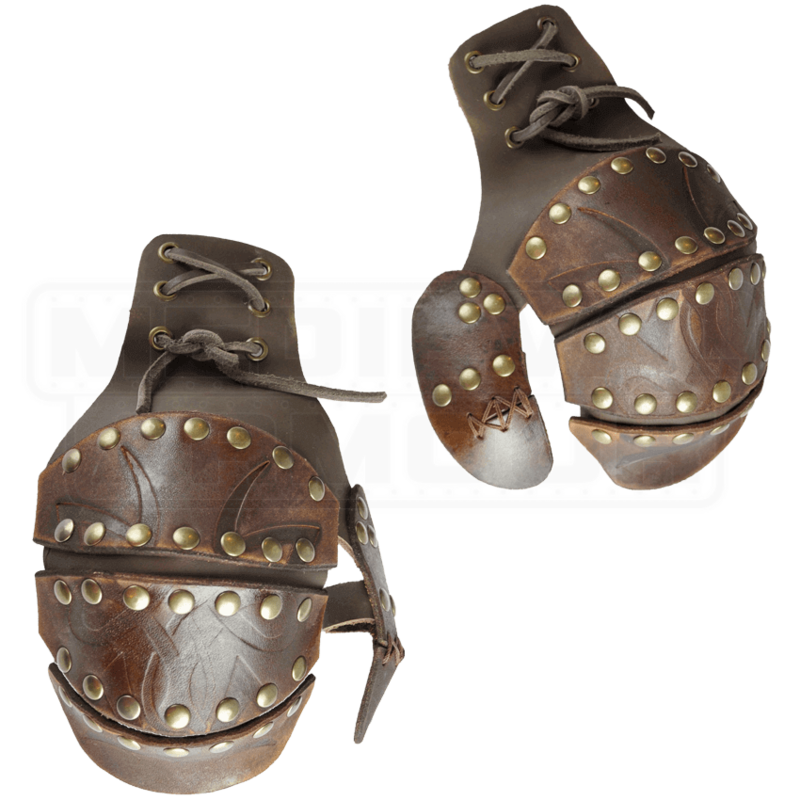 These handcrafted demi-gauntlets supply durable protection in LARP battle. Antique-brass plated rivets and segmented layers enhance flexibility and defense, while the Norse vine patterns suit a Viking raiders style. A strap for the palm, and one at the thumb fits the armored glove to your hand. 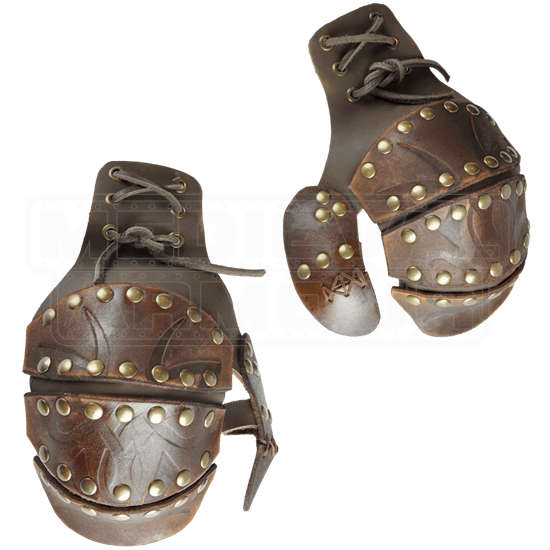 Eyelets at the wrist are for combining the half-gauntlets with the Odomar Viking Leather Bracers.